Tattoos have been among the perfect expressions in the world. You will hardly have any better way to convey your messages to whomever you meet. More than messages, tattoos showcase your personality. 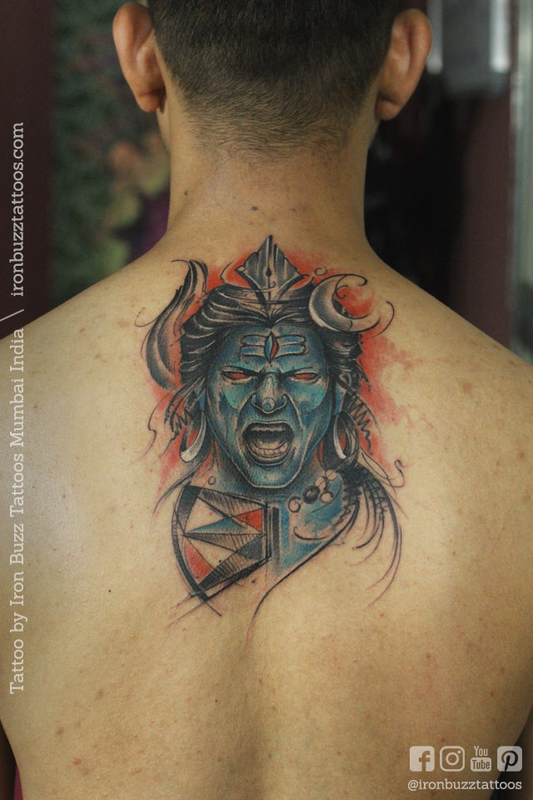 As far as tattoos with spiritual significances are considered, Lord Shiva Tattoo has been the most admired choice. Lord Shiva is known to be the Supreme Being, transformer and destroyer too. He patronizes the most sophisticate masculine traits. He is also fearsome and benevolent. He is both bad and good in their extreme forms. Shiva tattoos are always influential and alluring. He is the most unique among Hindu deities and highly inspirational. Shiva is often shown with three faces signifying the three different roles he plays as the creator, the destroyer and the preserver. Shiva in other words is the universe. Because of these meanings, the tattoo is preferred and admired not only by Hindus but also by people from other distinct religious backgrounds. Shiva tattoos on your body would therefore breathe similar vibes. 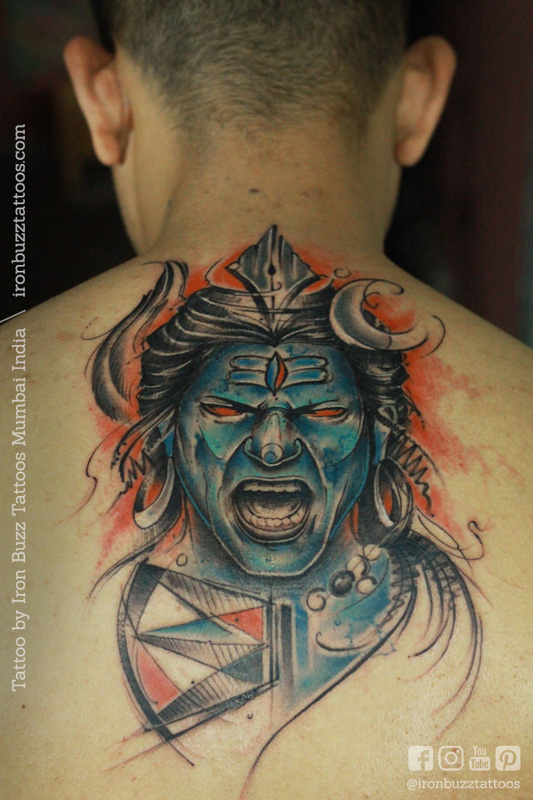 You may either get inked with his complete portrait, featuring him with his third eye opened; trishula, his famed weapon, bringing in destruction and havoc for evil elements. Like the different forms of Shiva, there are several different ways you can get him tattooed. If you are not looking for the large ones, go on for other elements that represent his power. Consider the trishul, the snake, the bull or combine a few of them to showcase a story. You may also choose to tattoo some of his popular scripts. Below are some of the best tattoos we have created for our clients. I'm sure you'll love it. Just fill the form below and we will call you.